Here's your chance to see how fast you can swim using swim fins! 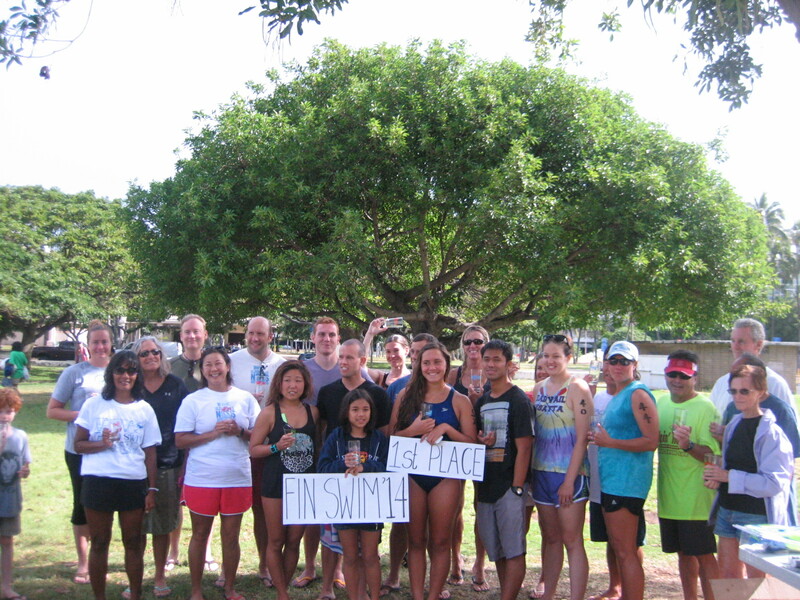 The Fin Swim at Ala Moana Beach Park, sponsored by the Waikiki Swim Club, is the only ocean swim race in Hawaii featuring finned (human) swimmers. Grab your favorite pair of fins and meet us at the park! You are not required to wear fins, but fins, goggles and snorkels are permitted. No hand paddles, wet suits or flotation devices allowed. COURSE: 2000 meter swim. 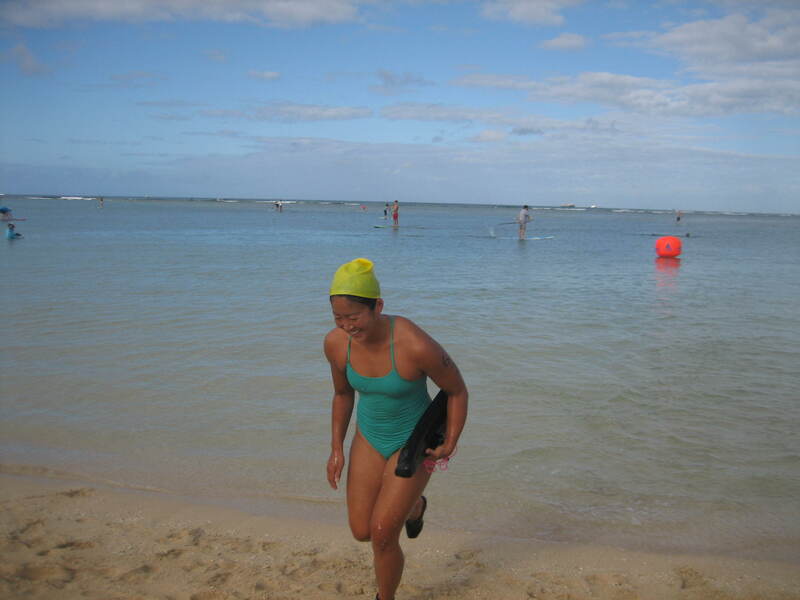 Start in water at Magic Island end of Ala Moana Beach Park. 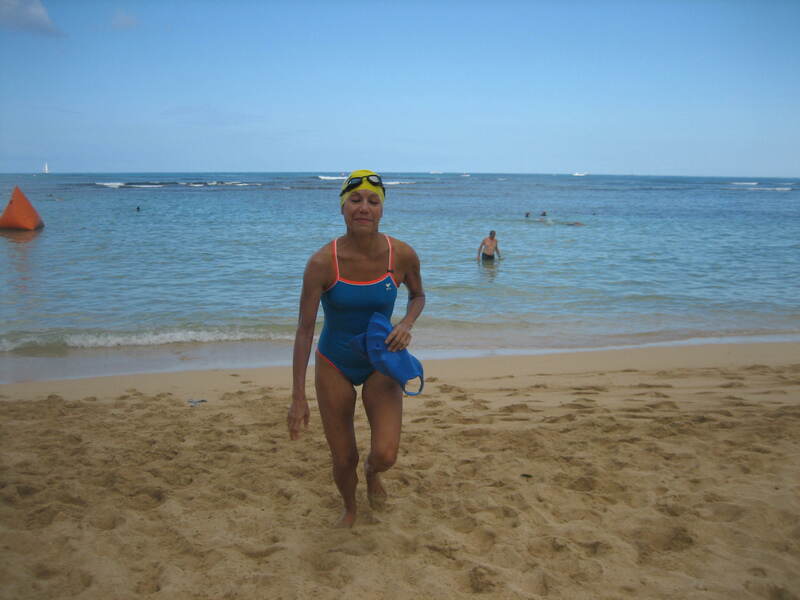 Swim 1000 meters toward Kewalo Basin. Turn clockwise around buoy. 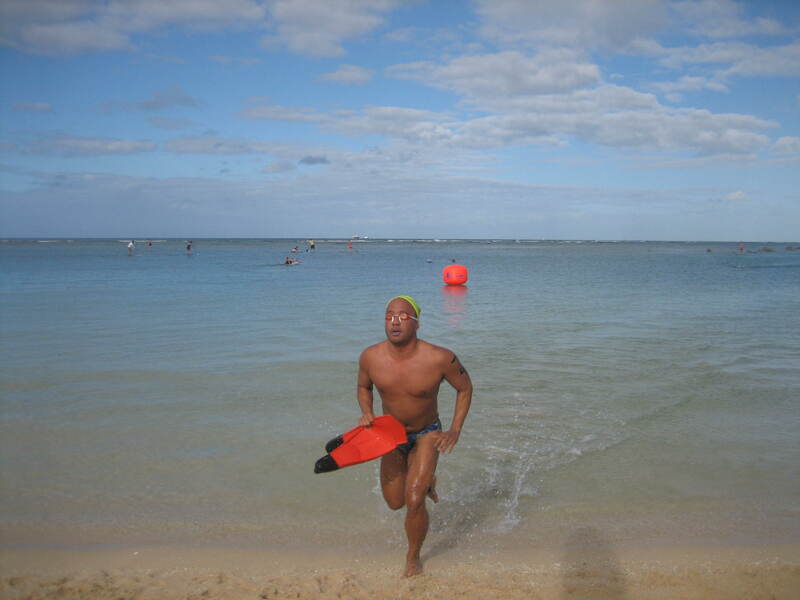 Swim 1000 meters back to Magic Island. Finish is up the beach through chute. ENTRY FEE: $35 until March 25 (6 pm HST). Waikiki Swim Club Members: $30. T-shirt included with entry fee. NO REFUNDS. IMPORTANT: Due to park reconstruction and ILH paddling, please come early to new Registration location: grassy area Ewa/Makai Magic Island parking lot. Look for WAIKIKI SWIM CLUB signage. 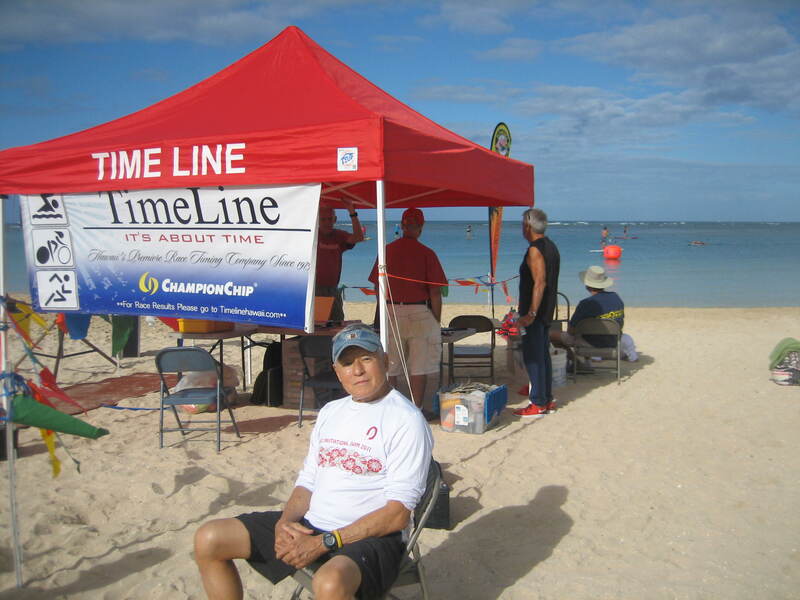 Waikiki Swim Club Members: $5 discount on entry fees. EQUIPMENT: FINS, goggles, masks & snorkels permitted. No hand paddles, wet suits or flotation devices allowed. BRIGHT COLORED SWIM CAPS are mandatory and will be available at registration for swimmers who are without. Swimmers must be 8 years or older. AGE GROUPS: 8-15, 16-19, 20-24, 25-29, 30-34, 35-39, 40-44, 45-49, 50-54, 55-59, 60-64, 65-69, 70-74 75 & over. AWARDS: 1st – 3rd overall and each male & female age group. T-SHIRTS: Included with entry fee. Additional shirts may be on sale after race, subject to availability. ESCORTS: No personal escorts allowed. Lifeguards and course marshals will patrol the course.